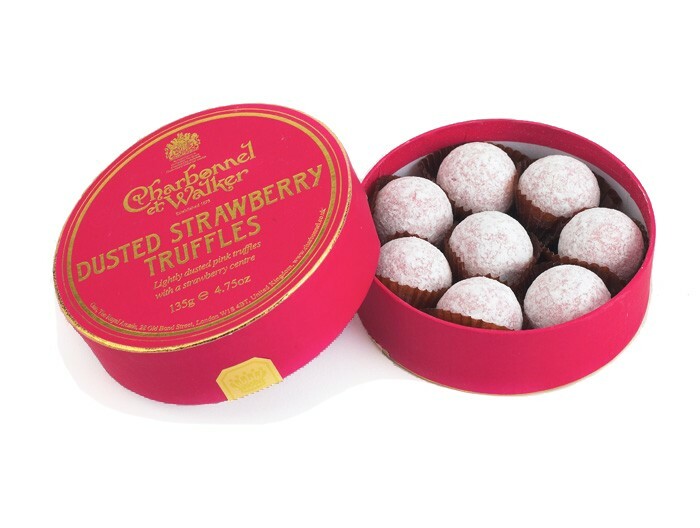 Buy this big bottle of Magnum of Moet & Chandon Brut Imperial 1.5L, Strawberry Charbonnel Truffles (125g), Presented in a wooden gift box with sliding lid and lined with wood wool with a Gift Card for your personal message. A MAGNUM OF MOET & CHANDON BRUT IMPERIAL CHAMPAGNE Moet & Chandon Brut Imperial has for many years been the world's best selling non-vintage Champagne and is consistently soft fresh and very well balanced. A harmonious blend of all three grape varietals and reserve wines Brut Imperial is a subtle drier-styled champagne. Brut Impérial describes the driest of Moët & Chandon champagnes with almost no liqueur added in the dosage. Moët & Chandon reserves its best cuvées for the bruts. 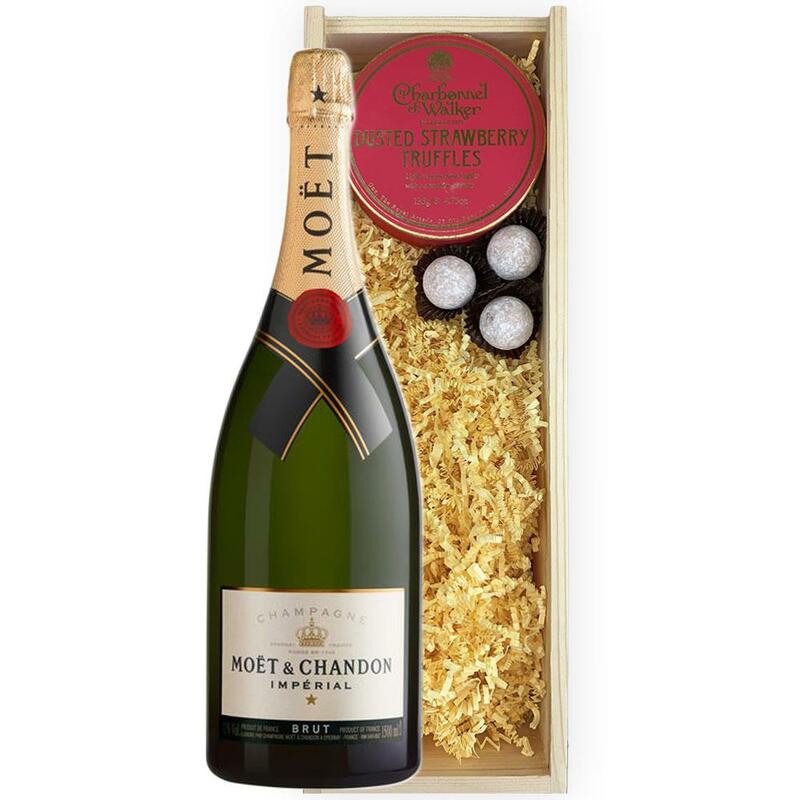 Sending a bottle Moet & Chandon Champagne makes any gift special.